Joanne did the 12 Week Course in 2014 and now had a business making delicious marshmallows. We create beautiful marshmallows, made with only the freshest natural ingredients, for private parties, weddings, and corporate events. We offer six signature flavours: Strawberry with White Chocolate, Raspberry, Sicilian Lemon with Poppyseed, Madagascan Vanilla with Blackcurrants, Mint and Dark Chocolate and Black Cherry with Toasted Almonds. 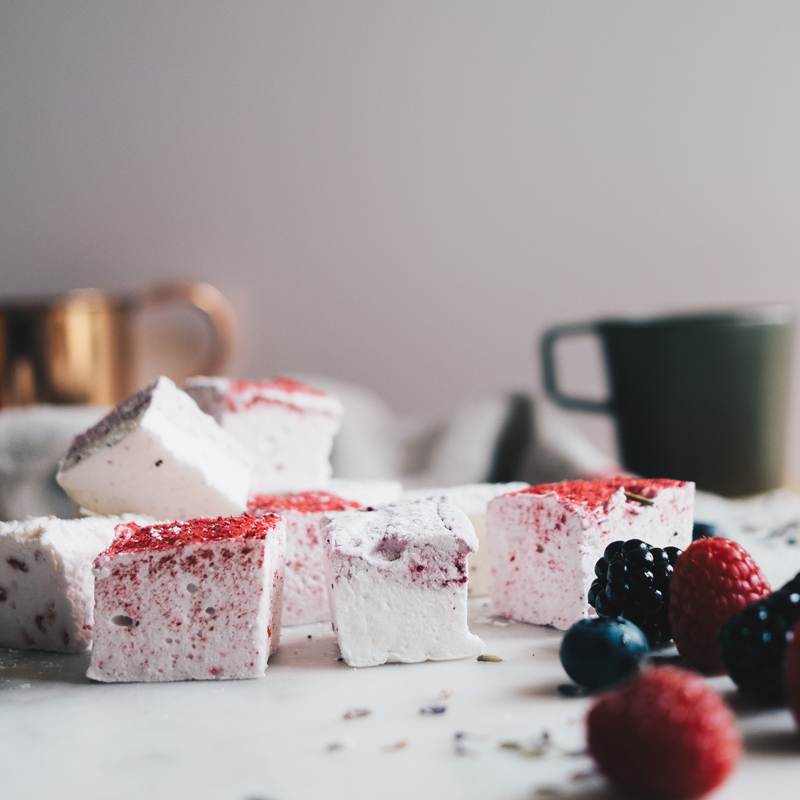 Our marshmallows are made fresh to order in single batches, are handcut and presented either loose, in bags of 5, boxes of 12 and in beautiful hand tied bags of one piece or two which may be personalised if you wish.